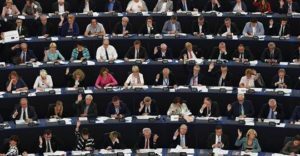 From The Independent: British Conservative MEPs were branded “disgraceful” after they abstained in a European Parliament vote on whether to impose an EU-wide arms embargo on Saudi Arabia. The UK has licensed almost £5 billion worth of arms to Saudi since the Yemen war began. From Morning Star: Saudi Arabia’s Crown Prince Mohammad Bin Salman may project himself to simpering allies in Washington, London and Tel Aviv as the face of change, but domestic repression and war crimes in Yemen persist. The Saudi military coalition, engaged in erasing all resistance in its southern neighbour, obliterated a bus in Saada province today, killing up to 39 people – the majority infants – and wounding another 43. 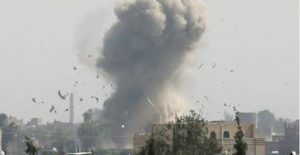 This massacre is merely the latest in a long list by the Saudi coalition, seeking to impose its will by terror bombing since its ground troops have failed so far to achieve its aim. To improve its chances, Saudi Arabia and its coalition of corrupt Gulf kingdoms spend freely on weapons of mass destruction from Western powers, especially the US and Britain. 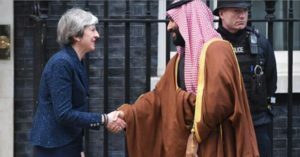 Britain’s Campaign Against the Arms Trade estimates that our Tory government has licensed £4.7 billion of arms to Saudi forces since the bombing campaign began in 2015, during which period 10,000 people have been killed. 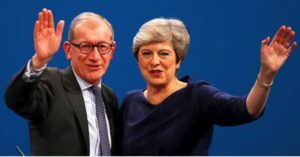 From RT: Philip May, husband of the UK prime minister, works for a company that is the largest shareholder in arms manufacturer, BAE Systems, whose share price has soared since airstrikes in Syria. Theresa May’s husband has worked as a relationship manager for the research investment company Capital Group since 2005. The Tory-BAE links go even deeper, however. The former chancellor of the exchequer and present editor-in-chief at the Evening Standard, George Osborne’s other employer Black Rock is the fifth-largest shareholder in BAE Systems. The latest news comes on the back of a recent deal agreed by BAE Systems and the Saudi government for the provisional sale of 48 Typhoon jets to the kingdom. The deal was welcomed by the relevant government officials from the UK and Saudi Arabia, who say it would help safeguard jobs. However, it was criticized by arms campaigners worried about the ongoing war in Yemen. 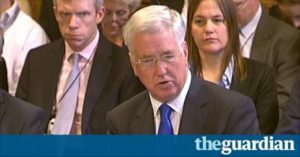 From The Guardian: Tory defence secretary Michael Fallon urged MPs to stop criticising Saudi Arabia in the interests of securing a fighter jet deal, provoking sharp criticism from human rights and arms trade campaigners. 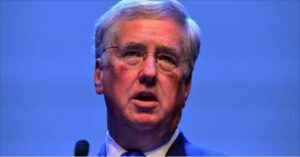 From The Independent: Britain will “spread its wings across the world” with increased arms and equipment exports after Brexit, the Defence Secretary has said. Britain’s “clients” include totalitarian regimes and nations accused of perpetrating war crimes. 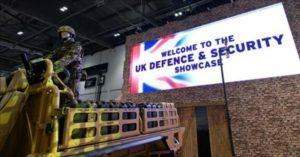 From iNews: The Tory Government has been accused of inviting a “who’s who of human rights abusers” to the world’s largest defence and security fair opening in London next week. From The Independent: Britain is now the second biggest arms dealer in the world, official government figures show – with most of the weapons fuelling deadly conflicts in the Middle East. Instability there has fed into increased risk of terror threats to Britain and across the West.